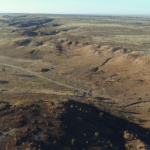 Northern Minerals has produced its first rare earth (RE) carbonate from the Browns Range pilot plant in the East Kimberley region of Western Australia. 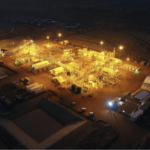 The company commissioned the plant in June and opened it in July, becoming the first heavy rare earths plant of its kind outside China. Browns Range is particularly focused on producing dysprosium and and terbium. It has a JORC 2012 total mineral resource of 9.07Mt at 0.63 per cent total rare earth oxides (TREO) for 57.3m kg of contained TREO. 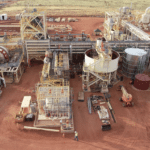 Northern Minerals managing director and chief executive officer George Bauk called it a “significant milestone for Northern Minerals and the Browns Range project”. “This is the first production of rare earth carbonate from xenotime ore outside China and represents a new global source of product,” he said. Dysprosium is a vital component in the production of magnets used in clean energy solutions including electric vehicle (EV) components and wind turbines, among other applications. Terbium is particularly sought after for use in fuel cells, low-energy lightbulbs and solid-state devices, such as solid state drives (SSDs) in computers.